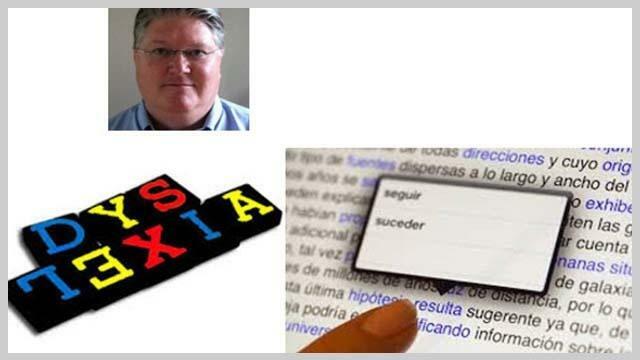 Please join me as we explore Dyslexia and edtech solutions in a 5-part series with Dr. Michael Hart. Dr. Hart is the Principal and Owner of DoctorMichaelHart.com, has special expertise in dyslexia and attention deficit disorders. , he now provides online services including consultations, courses and webinars. He blogs regularly and writes for several publications. Dr. Hart breaks down the foundation of Dyslexia and provides a map for parents and educators to use in determining which solutions really help. Dr. Hart believes the key is to ask the right questions. I wanted to bring on Dr. Hart because he’s been working for 25 years, and he has his PhD. in psychology. What’s very interesting about him, and I think it’s going to really tie together education technology along with our learning about dyslexia, is that he also has his MBA from Wharton and he spent 10 years in startups working with technology. That gives him a very unique background in consulting in education and technology so I think it’s a very wonderful blend for us to be able to put this together. This is our first installment that we’re really excited about. This is going to be a general introduction to dyslexia and edtech . Dr. Michael Hart, welcome to the program. Dr. Michael: Thanks for having me. Dr. Rod: It’s really nice to have you on. We’ve talked a lot off-air about working on this series. I’m very proud because it’s something we’ve been talking about organically and the audience has been wanting more information. I think it’s really going to be beneficial to focus on one specific area when we look at helping young people increase their access to education and to a better world around them. With that said, you talk about educational technology sparking a very specific global revolution in caring for people and kids with dyslexia. What do you mean by that? Dr. Michael: Obviously technology is a core component to what’s happening in education and reform around the world. There’s not an area of society where it’s not going to make a huge impact. Interestingly, with regard to dyslexia there’s a unique dynamic in this corner of education. For multiple reasons, there’s a very significant disconnect between what we know from the research in terms of literacy development which is how people learn how to read, neuroscience which is how a person’s brain is wired, and what educators actually are exposed to in their university programs. This is true in the United States but I think I can say this generally. To this day, most teachers go through a 4 year program and university, and never take a single class in reading instruction, much less how to use educational technology for the student. There’s an amazing disconnect, even to this day. Now with the explosion of educational technology, we have this way of providing access to both teachers and parents. That’s access to knowledge that’s specific to language based learning issues and attention deficits. It’s now mobile to any corner of the world. Dr. Rod: It’s very scary to think about reading instruction and retention not being taught to these individuals who are going on to become teachers. I’ve had a number of interviews lately with people around teacher preparation programs. I guess this just goes to the fact that we need these standards that CAEP recently put out. It makes me think about how many kids were missing along the way. It changes things when you throw that into our conversation, about kids with dyslexia. Give us a little background, and frame it up for us if you will, about the term dyslexia and what it means. I think we all have a general or a pop culture knowledge of what dyslexia is, but I don’t think that gives enough justice for what it really means, and the complexity around it. Dr. Michael: First, all that the term dyslexia means is that a person is having difficulty with reading, writing, and spelling. I want people to ask a different question. Instead of asking, “What is dyslexia?” you really should be asking, “What is it about my child’s brain, or my student’s brain, or my own brain, that is causing difficulty with learning to read, spell, and write?” We know from the research that dyslexia is caused by underlying issues, or underlying difficulties in language processing. There are a lot of different components to language processing, which we’re going to talk about a little bit later in the series. This is across all countries, all ethnicities, all socio-economic groups. About one-in-five kids across the world has some degree of issues with language processing that can impact their learning to read and write. The concept, is tying together the learning issue of dyslexia with language processing early on. That sets the stage to begin mapping educational technology choices specifically to how a person’s brain is wired. That’s super critical.